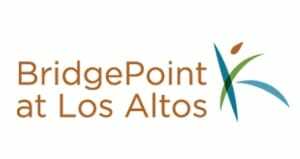 At Bridgepoint at Los Altos we have a lot to celebrate and are excited to invite you to the Grand Re-Opening of our recently renovated community. 3pm - Enjoy delicious hors d’oeuvres and sample local wines. 4:30pm - Author Mary Feliz, will be speaking about her latest novel, Address to Die For, followed by a book signing. 6pm - Global Warming discussion presented by residents of BridgePoint at Los Altos. Don’t forget to check out the renovations to the dining room, bistro, lobby, wellness center, apartment homes and much more! While you’re here, make sure you enter our raffle for a chance to win a $100 gift card to Chef Chu’s. Space is limited, RSVP today! Call 650-397-2200 or use our online form.